It highlights memorabilia and photos from Graham’s life during that time period, providing insight into his early ministry and personal life. Graham often speaks of his admiration and gratitude of his wife and the impact she made during the early years of his ministry. The new display features many special artifacts from their early years of marriage, including a note from Billy to Ruth on their wedding day — August 13, 1943. 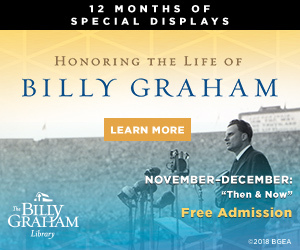 To see the schedule of upcoming displays celebrating Billy Graham’s 1ooth year, visit here. To me, Billy Graham is the greatest evangelist in the history of the church. Ruth, to me is the most humble, yet Queen-like woman I have any knowledge of in the the history of our land. She was a woman of prayer and beauty. She was dedicated wife, mother and messenger for our Lord. It was my good fortune to know both of these two enlightened and gifted people. I am also pleased that their prayers were answered in Franklin to hold the torch high and keep it burning. All of the children I have met, show that their parents could be proud of them, as they always have been. 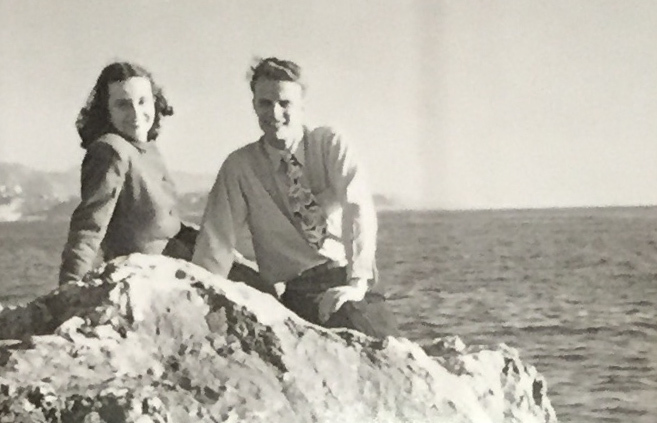 Thank you for the lovely tribute to the love of Billy Graham and the love of Ruth Graham for her husband Billy. It was very heart-warming and encouraging to read to day. 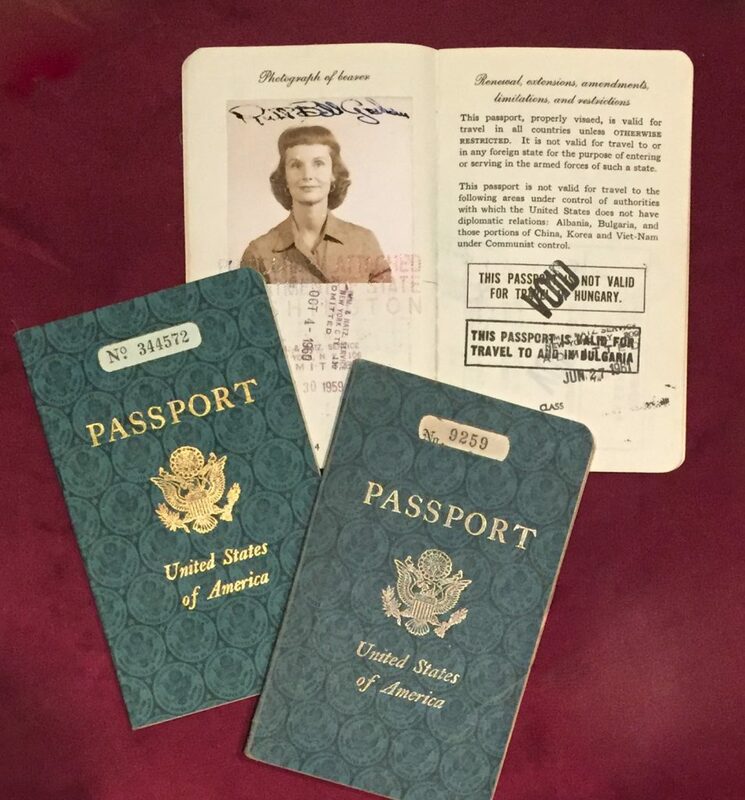 I think I saw those passports at the Billy Graham Library which I visited three years ago. I thought the whole place including the grounds were a fitting tribute to the Grahams as a couple. It touched me then and it touches me now. I wrap you all in love and faith for your full years and glory to God. What a blessing they have been to all of us!! Hoping to visit the Cove this coming summer!! A desire of mine, and my son and wife are planning to take me. I just turned 89 years old!! So hoping to make it there!! Many blessings!! God is Great when we put him 1st on our life. It’s wonderful to hear stories like this. My wife has been a Great inspiration to my Life too. Next to a GREAT man there has to be a GREAT woman !! 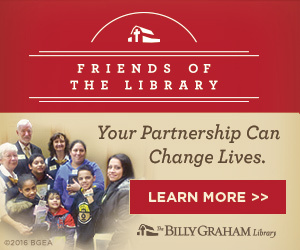 Wow I visited the Library on 12/23 and enjoyed it so much. I would definitely recommend it to everyone. When, as a 12 yr. old, I responded to Dr. Grady Wilson’s invitation to ask God into my life, to watching Dr. Graham’s crusades over the years always singing, “Just As I Am” with joy and tears….to today….. I am so thankful to have been led in my walk by such wonderfully committed Christians. We all serve a faithful, loving Heavenly Father and continue to be served by the BGEA ministries. Thank you! Enjoyed this awesome testimony. Thank God for both of them and the children! Love of the Godpel lives on through daughter and son. I have heard of Mr. Graham all my life. When my husband and I were married, he was not a Christian. 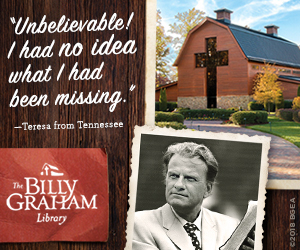 We lived in TN and I was able to go to hear Mr. Graham. He told me to keep praying and witnessing to him. I was able to lead him to the Lord at 2:30 in the morning in our kitchen. We later went to Clear Creek Baptist College and moved back to our home in KY. He has been able to hear Mr. Graham many times. We pastor a small church in Manchester, KY. Praise the Lord. I start my day with Billy Graham’s column in the Shreveport Times. It’s the point where I have my first payer and I believe that it starts my day right. Enjoyed reading about the early life and would like more. I can see the love he has for his wife Ms. Ruth. My dad has shown that love, like no other with my mom, which both have passed now. If nothing happens, my sister and I hope to visit the end of March this year. “The King”, our Lord Jesus Christ, I have enjoyed beyond words can say, my husband(who died in 2017) and I have prayed for the Billy Graham ministry for sooo many years, and I his widow, still do to this day! God Bless the ministry now and forever or until HE comes to gather his people to go to be with Him in Heaven! What a remarkable, inspirational and beautiful story! As we consider what marriage was ideally designed to represent, I know of no greater example than that of Dr. Billy and Ruth Graham. Their life preaches the Gospel, and shouts from the rooftops as loud as any sermon ever preached. We thank God for joining these two remarkable servants together, and allowing their lives to grace ours’ in our lifetime. The Almighty has handcrafted and tied together these two lives together into a beautiful love story, and message of God’s love for us all. Thank God for their amazing sacrifice, courage, and example. Thank you Dr. Billy Graham for the words from your wife and you.Praise Jesus for the blessing your children are also to myself and many more that are hearing the Word of God. Lord bless you all. Amen. Your work your words and your life have been the greatest encouragement to me in life. I may never meet you here on earth but will surely walk with you in heaven. Thank you. 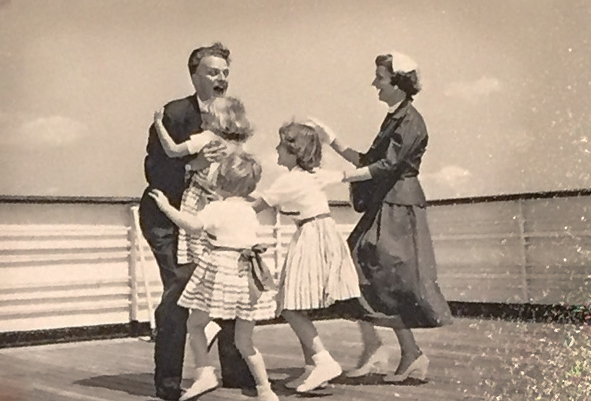 It is encouraging to note that when Billy (and Ruth) welcomed ‘The Leadership of the Holy Spirit’ in 1943, He (The Holy Spirit) has remained available and faithful. I pray that the leadership He began will continue in the life of Billy and Ruth; and for my marriage too. How wonderful to see their Christ-like example in an ungodly world. It has been a light for me my entire life. May the Lord bless their entire family and make them strong to fight the good fight and stand for the truth of God’s Word. This is wonderful. God bless you! God binds marriage of His servants into eternity; what an honor to witness a God-fearing couple here on Earth on their journey in Ministry. If everyone’s marriage started with God we would all have had the love of a lifetime. What a blessing their love has been and will always be but first is always Christ!! 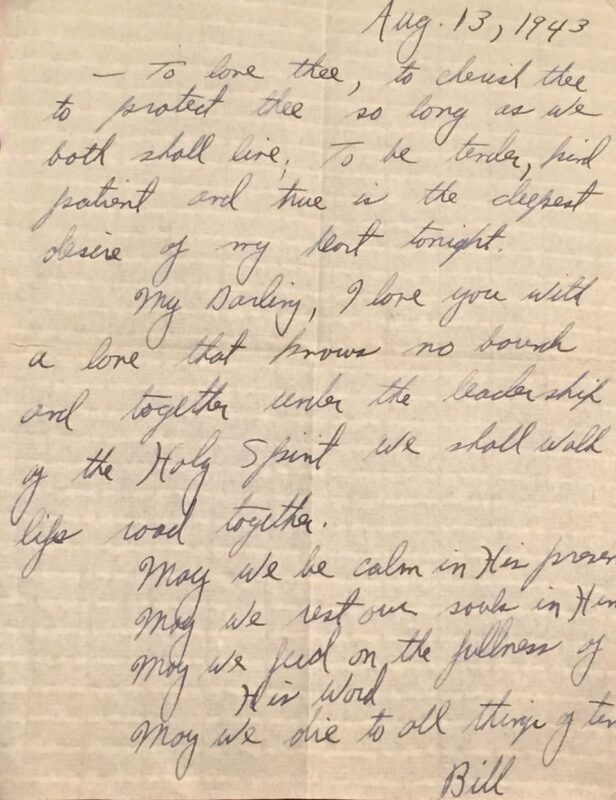 it is so sweet to see and read the endearing personal thoughts of Billy Graham for his precious love of his life Ruth…. it would be a treasure to have this romance of 60 years put into a book by next Valentine Day!!! What a blessing you and Ruth were to many people. I went to your revivals in Houston, Texas and I believe you were in Pasadena, Tsxas. When I was in Atlanta, Georgia, I sang in the big wonderful choir and did not miss a night! I have your address and will send a check. God used you and Ruth and your children to wake our Nation. I think we need a spiritual awakening! I’m looking forward to receiving more info on the Graham’s. Thank God for two people who put trust in God to bless and honor the way a family should look like in Christ Jesus. My mom and dad also honor the Lord in our family during my lifetime. 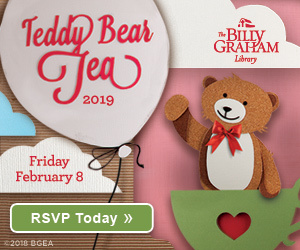 several years ago when i came back and gave my heart to Jesus i called the Billy Graham ministry and they prayed a beautiful prayer on the phone for me and i will never forget how that really touched me at a time when I just needed some encouragement. and for that i am truly thankful. Billy and Ruth were beautiful people with a sincereness to serve God and they are together now in heaven, a beautiful city ! !